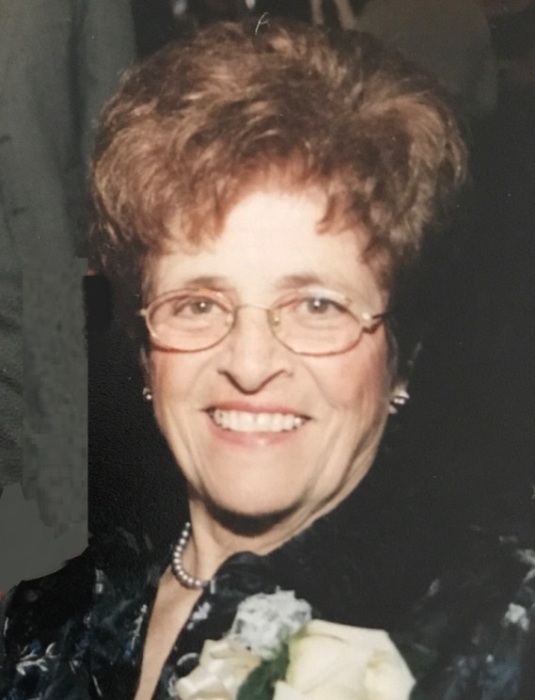 Obituary for Angelina M. "Angie" (Caputo) Cincotti | Laughlin Memorial Chapel, Inc.
Age 98, of Mt. Lebanon, formerly of Whitehall, passed away peacefully, surrounded by her family, on Tuesday, December 4, 2018. Beloved wife of the late Peter M. Cincotti; devoted mother of Patricia A. Lowe (Robert) and Peter M. Cincotti (Ann Thompson); loving grandmother of Brian Lowe (Emily), Keith Lowe (Angie), Scott Teeters, Erin Smith (Matt) and Tara Duffy (Patrick); dear "Gigi" of Maggie, Brady and Alie Lowe; Alex, Katie and Ella Lowe; Evan Teeters; Lily, Evie and Matthew Smith; Brendan, Erin and Bridget Duffy; sister of the late Anna, Betty, Joseph, Frank and Anthony; also survived by many nieces and nephews. A hometown beauty, she met the love of her life, Pete, under the Kaufmann's clock on August 23, 1942 and were married by Valentine's Day 1943. She was devoted to Pete until his death in 1997. Angie loved gardening, cooking and playing cards, but she spent most of her time taking care of family. She was a loving mother, grandmother and great grandmother and was part of our daily lives until the end. Angie was selfless, generous and a shining example of a life well lived. We are blessed to have had her in our lives for 98 years. The family would like to thank the staff and residents at Sunrise, Upper St. Clair, for making Angie's last year special. All are welcome to attend her Funeral Mass in St. Bernard Church, on Friday December 7, at 11:30 am. Entombment will follow in Mt. Lebanon Cemetery Mausoleum. If desired, please consider a donation to St. Bernard School, 311 Washington Road, Pittsburgh, PA 15216.